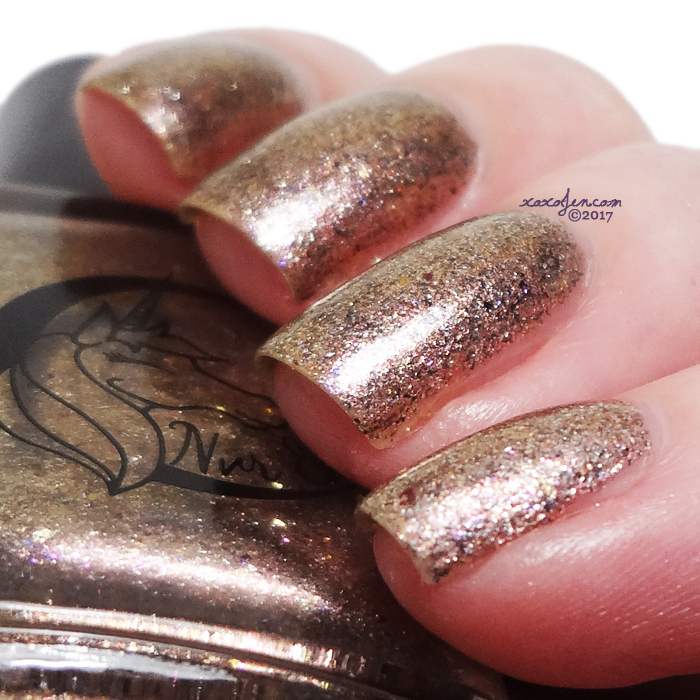 The next Shimmer Me Box release is on 11/10 at Native War Paints. 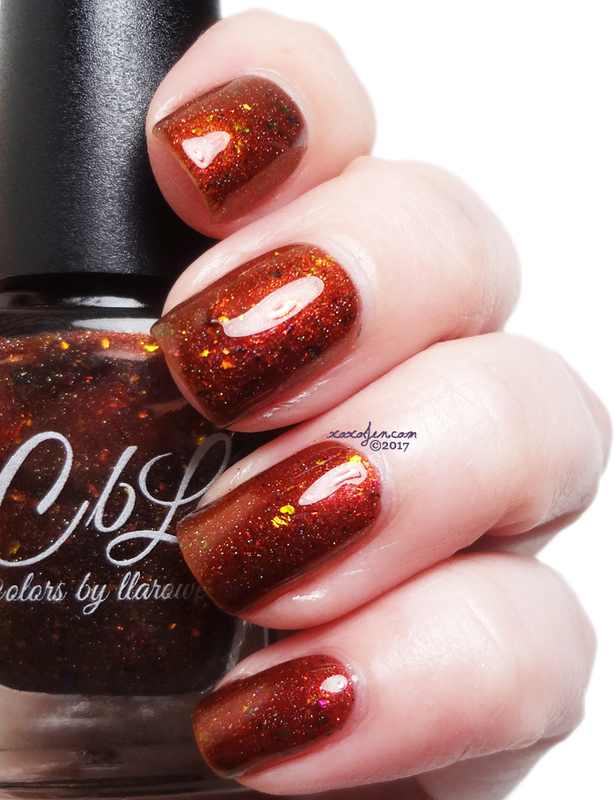 The special guest this month is Nvr Enuff, who has a made a stunning flake polish with pink shimmer. 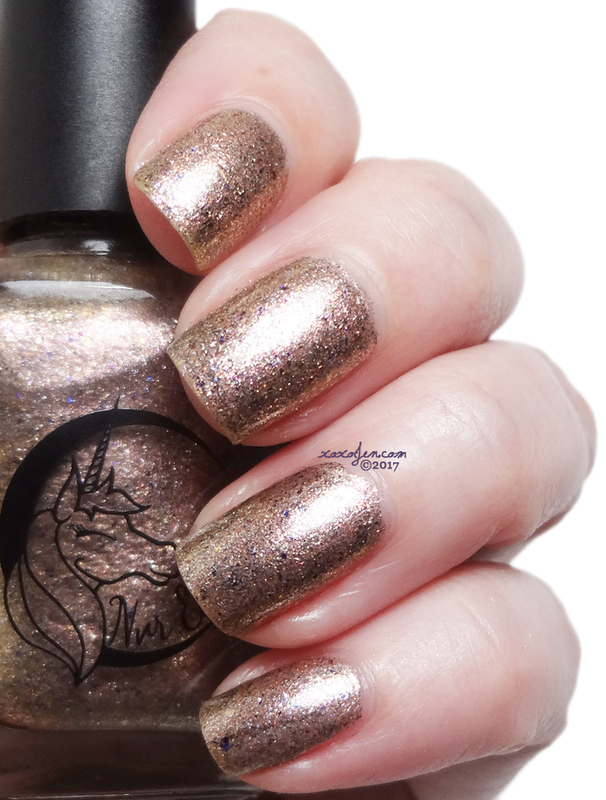 Thanks For Dinner- a dirty silver flakey polish with gunmetal flakes, gold flakes, purple/blue UCC flakes, a pink Shimmer and holo! This is more of an almost bronze shade to me, maybe mink is a closer description of the shade? Two coats shown, formula was good. 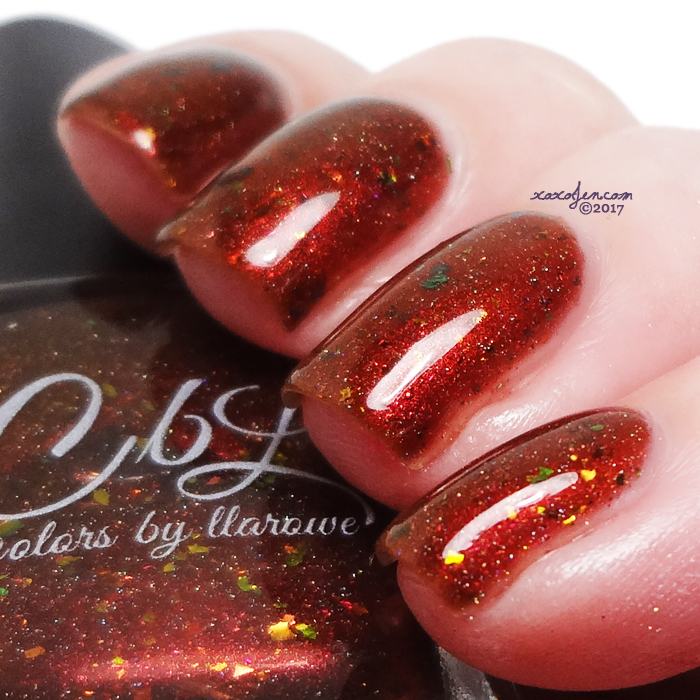 Stuffing or Dressing: golden copper Multichrome base that shifts from copper to brown to red with scattered holo with red, bronze and green flake. 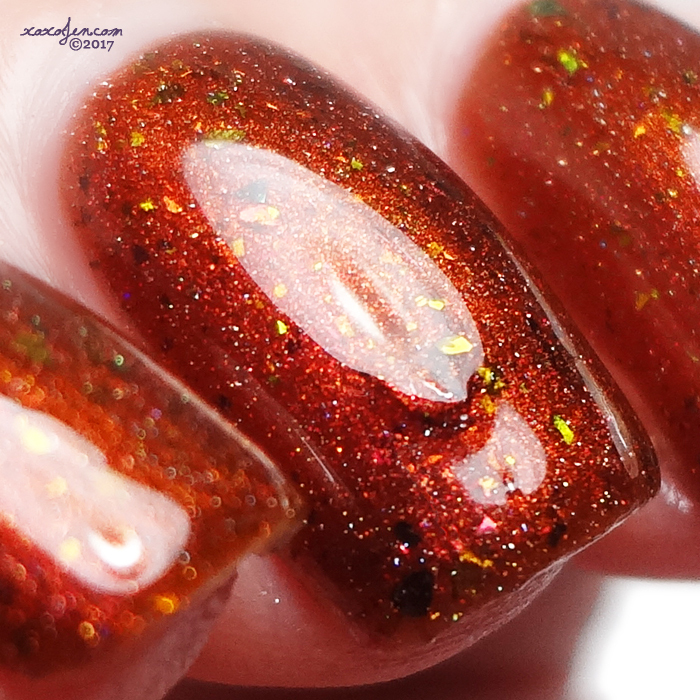 A jelly, but opaque in two coats because it is absolutely loaded with shimmers. The flake reminds me of fall leaves. Two coats shown, formula was excellent. Triple Berry Pie - A blurple crelly base with flake glitters and pink shimmer. A bit sheer but I enjoy it this way. Two coats shown, formula was good. Saucy Minx - Pink with orange shimmer, bronze and pink flakies. Raspberry shades like this look great on a wide variety of skin tones, and that shimmer! Two coats shown, formula was good. I hope you've enjoyed my review. How are you spending your holiday? I like all the colors inside the box.